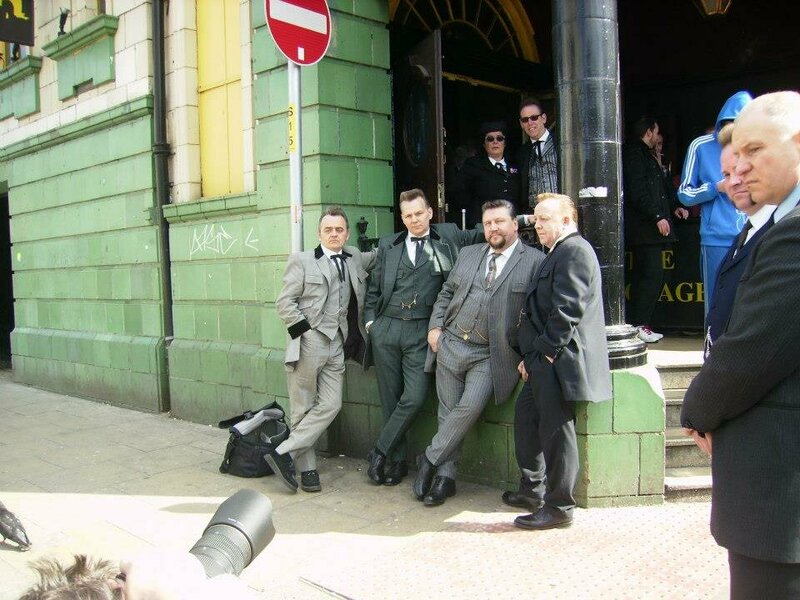 On Saturday 6th April 2013, a Photo Shoot was organised between Teddy Boy, Julian Lord (Co-author of TEDDY BOYS A Concise History) and Manchester Evening News to publicise the book. 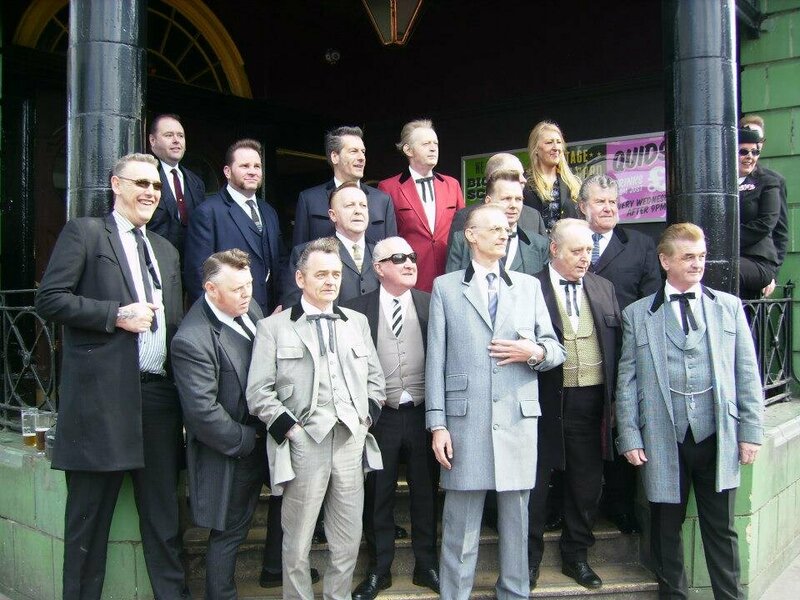 The venue chosen was the historic Grosvenor Picture Palace (now the Footage Pub) on the junction of Grosvenor Street and Oxford Road in Manchester as it was a historic site that would have been frequented by Teddy Boys in the 1950's - in fact Manchester Teddy Boy, Boppin' Brian Spilsby recalls that he saw the film Jailhouse Rock staring Elvis Presley in 1958. 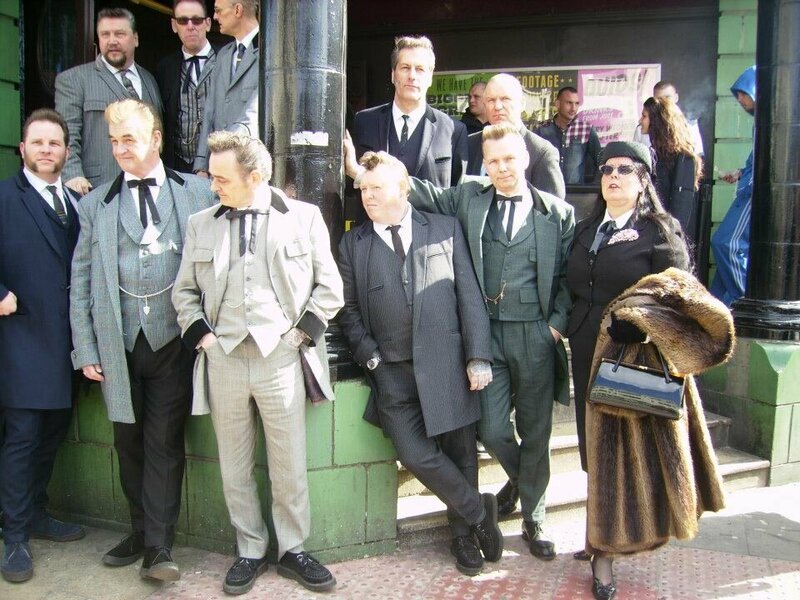 The photographs shown here have been taken by Oldham Teddy Boys - Stephen Mellor (Sideburn Steve) and his partner, Rhonda and Fran Rydell and his partner, Beverley Needham, who gave they gave their kind permission to reproduce these excellent photographs on The Edwardian Teddy Boy. 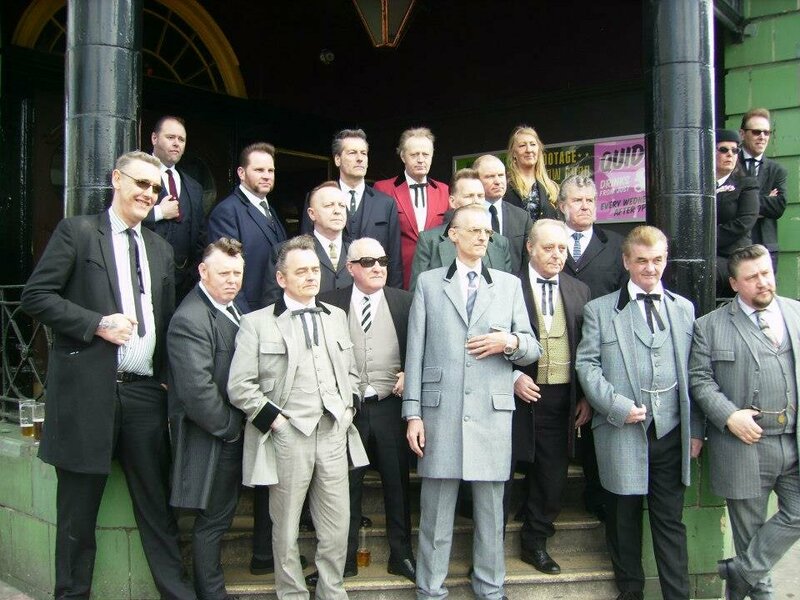 The Manchester Evening News, after discussions with Julian Lord, Teddy Boy and author of TEDDY BOYS, A Concise History, decided to produce an article on the Teddy Boys. 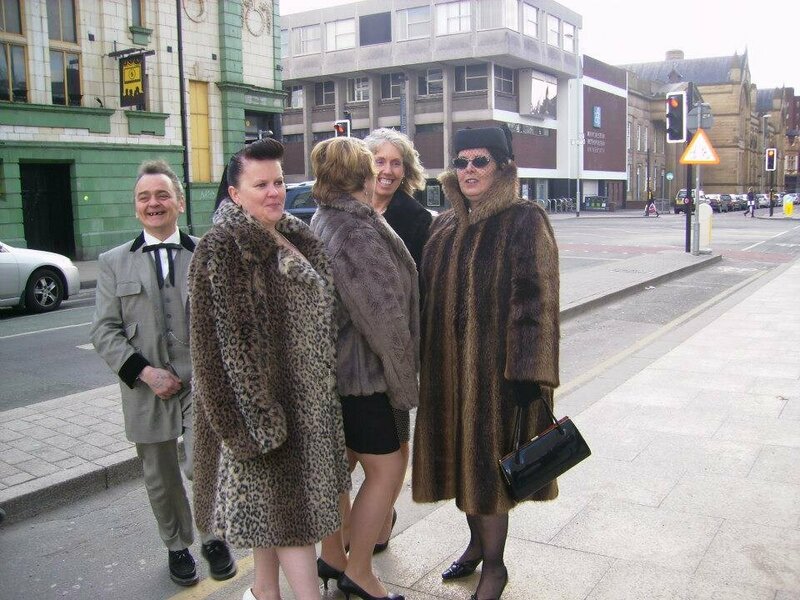 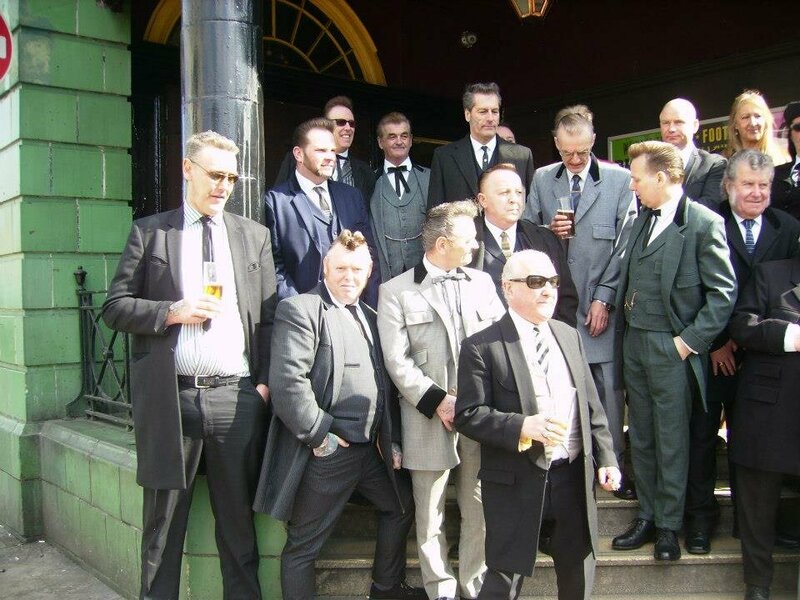 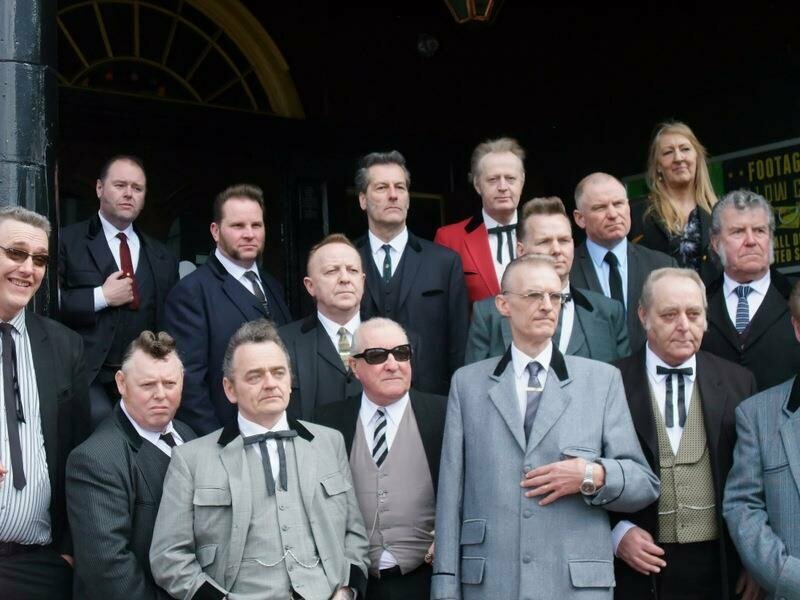 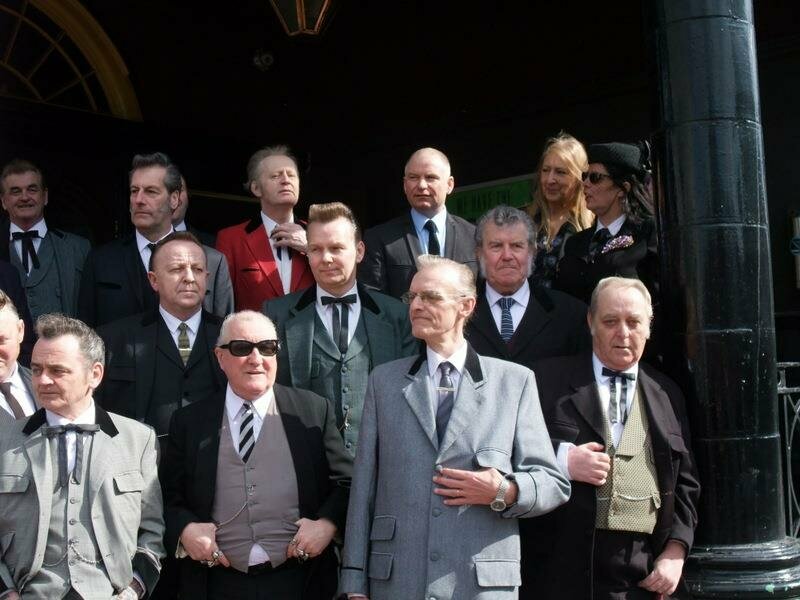 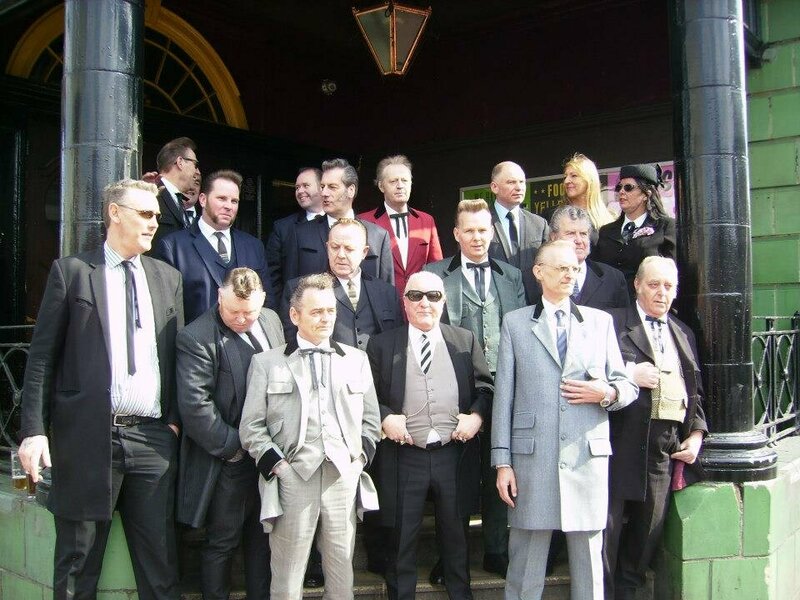 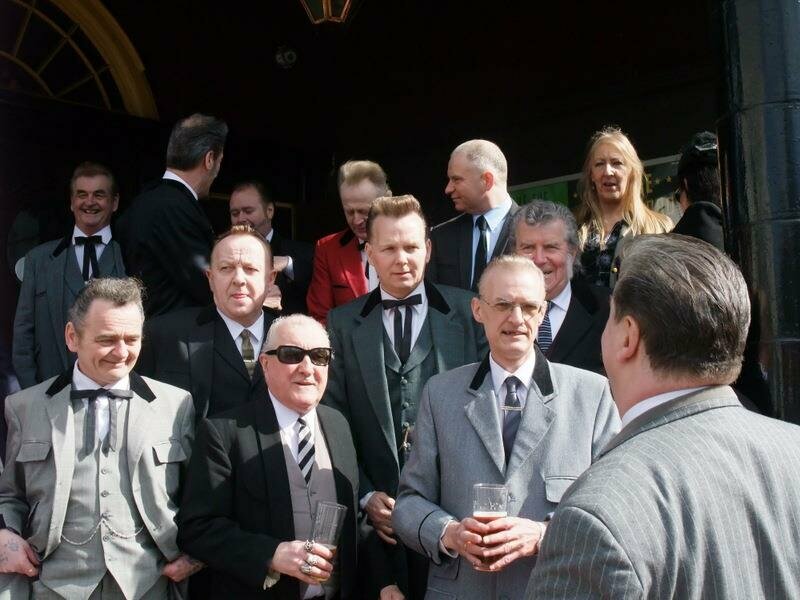 As a result there was a photo shoot at the Footage pub (formerly the Grosvenor Picture Palace) on Oxford Road, Manchester on the afternoon of Saturday 30th March 2013 (Easter Saturday) THIS WAS AN IMPORTANT EVENT, and a number of Teddy Boys and Teddy Girls attended the event. 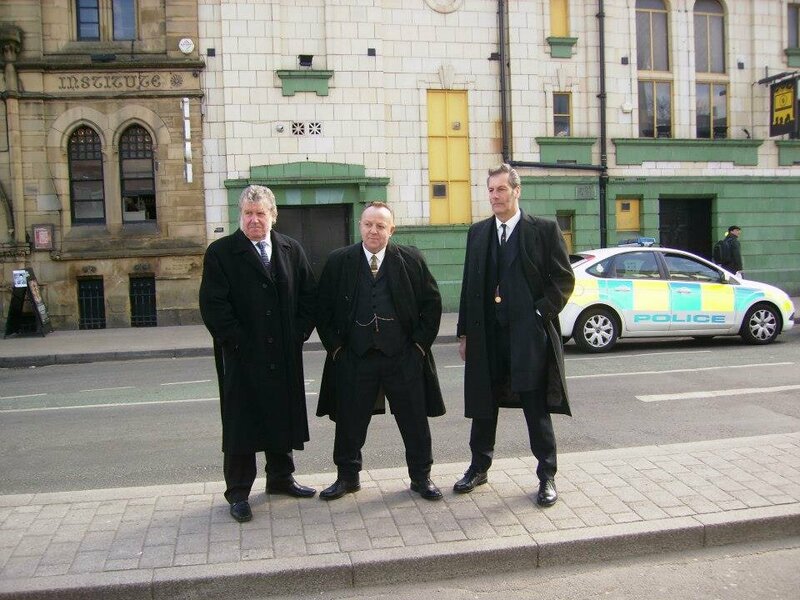 The Manchester Evening News requested that all the 'troops' (their words) wear their full drapes and they did!. 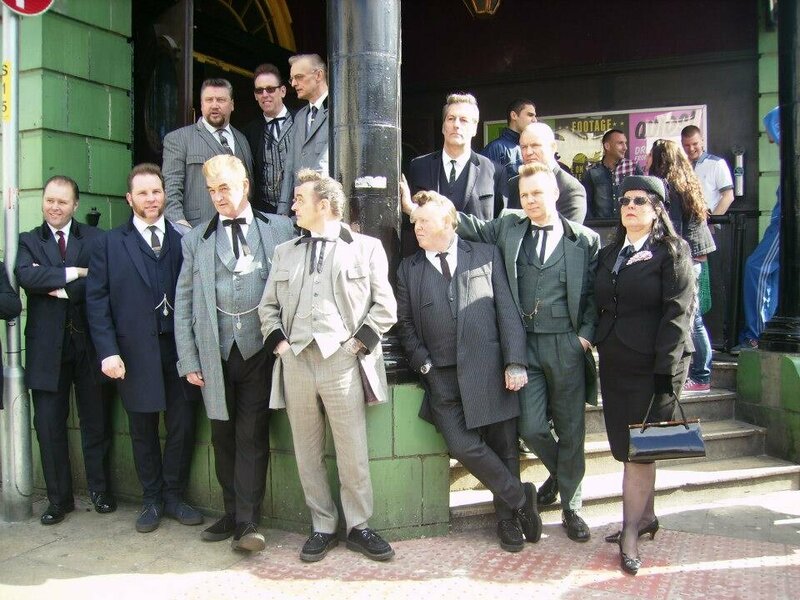 The Footage pub was chosen because it was formerly the Grosvenor Picture Palace in the 1950's and this would have been a traditional Teddy Boy venue, so it was felt that this was a good location for the shoot. 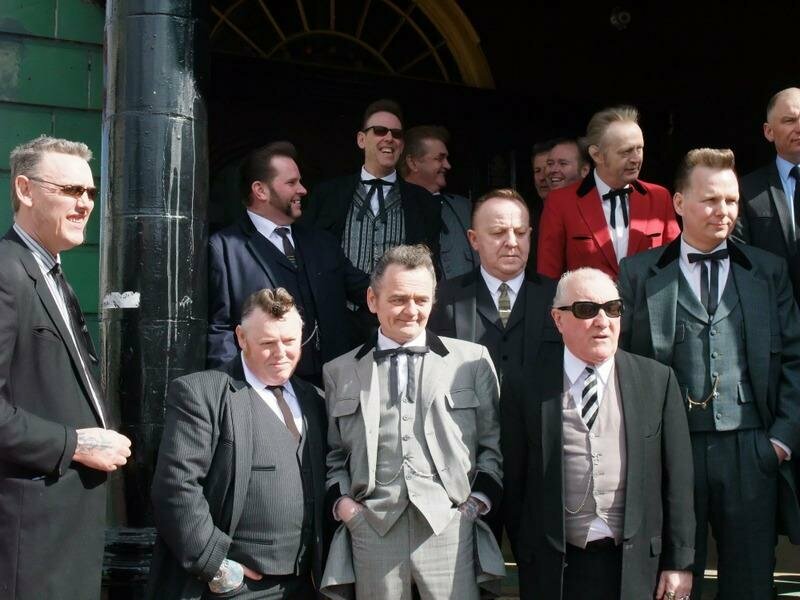 The reason that the Manchester Evening News decided on the articles is because there is an increasing interest in the 1950's in the media at the moment, and specifically in the Teds. 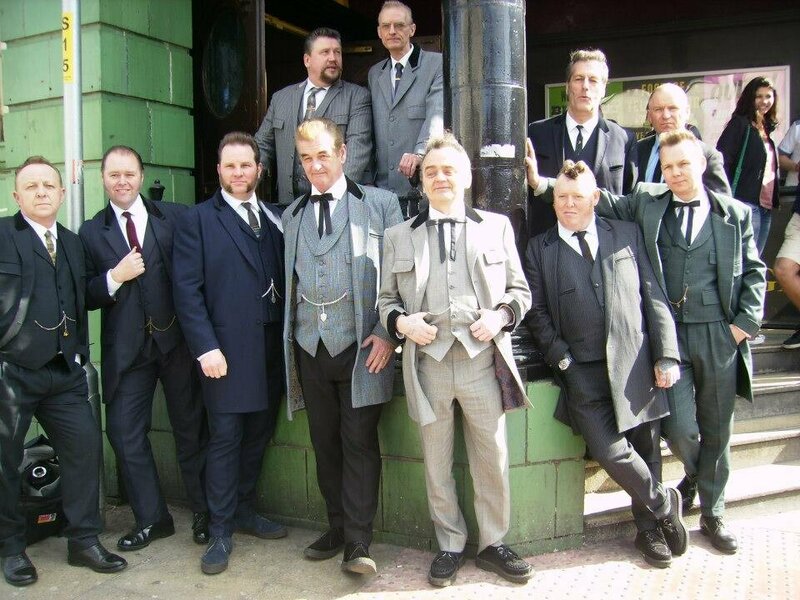 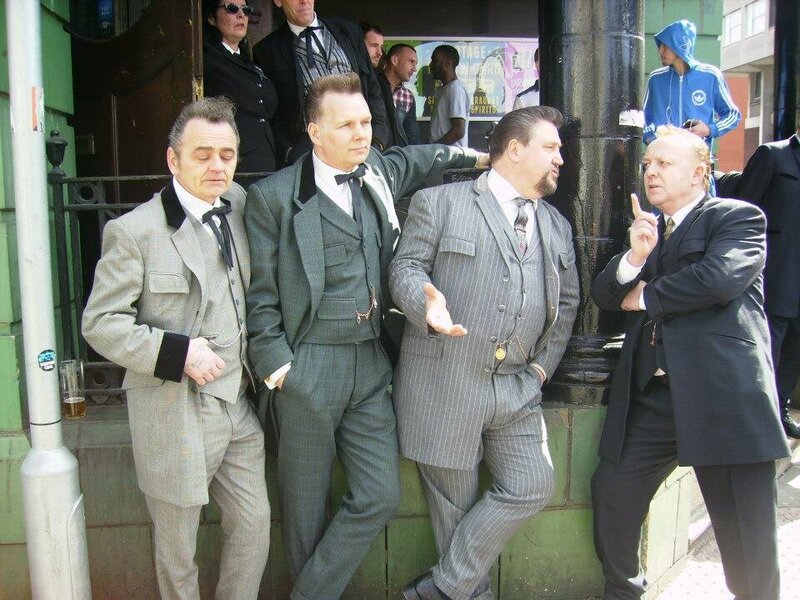 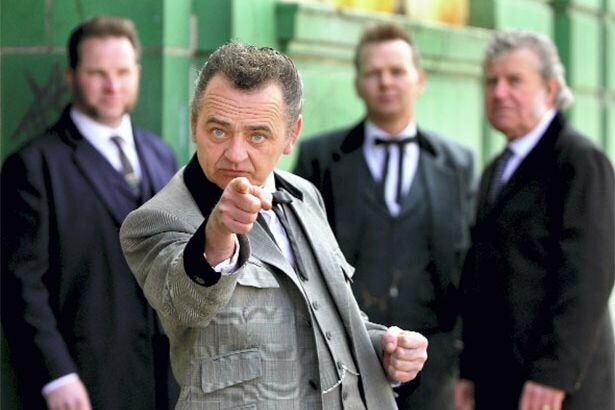 In our opinion, we presented ourselves as the guardians of this great British tradition The Edwardian Teddy Boy – because no one else does. 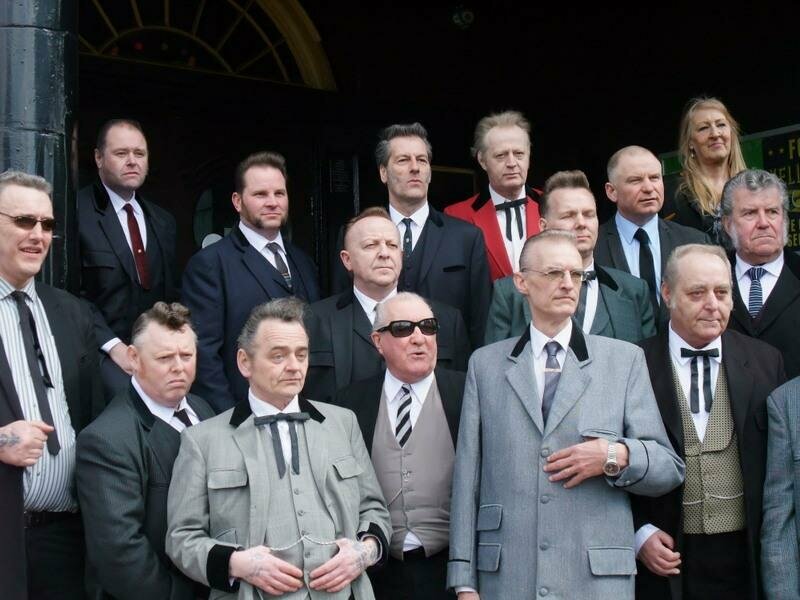 See what you think and enjoy the pictures!